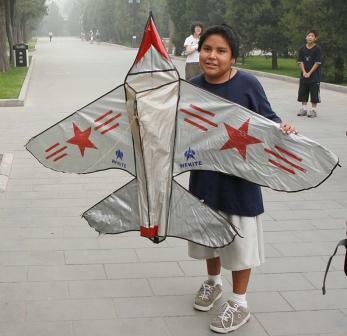 Challenge: TOMORROW is a 21-day China – U.S. 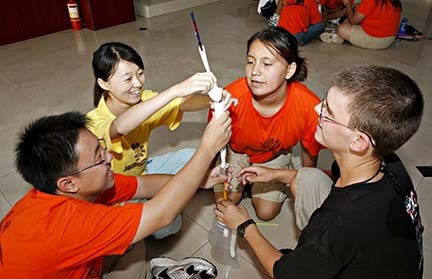 Youth Program designed to bring students from the People’s Republic of China and the United States together for cross-cultural immersion and leadership development around the theme “Two Continents, One Tomorrow, Endless Possibilities.” Together the students will address issues and generate ideas for creating the world they want to live in. 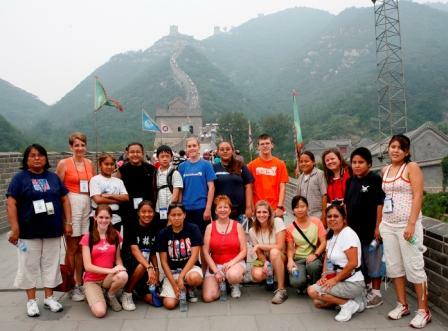 Planning and implementing this experience focuses on building sustainable relationships and partnerships that will grow and expand beyond the students’ time spent in China. 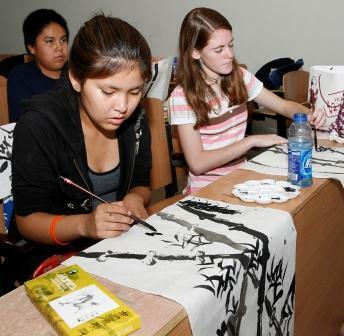 U.S. students will meet, share, and learn with Chinese students and staff in a rural area of Henan province on Sias University campus, and with a second group of students in Beijing, Haidian District. The two sites will provide the contrast of geography, socio-economics, and life styles in two distinctly different areas of China. This will enable U.S. students to gain a perspective of the vast differences between regions, economy, and development of people living in a country the geographic size of the United States, but inhabited with five times more people. 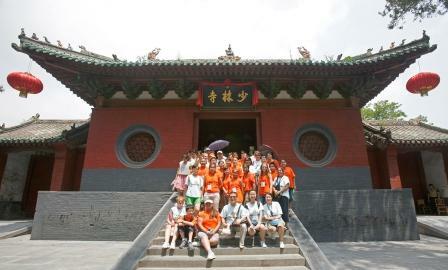 A semester pre-travel, self-study program is designed to prepare the U.S. students for interacting with their Chinese counterparts. The curriculum will include studying Mandarin; reviewing state, national, and world issues; learning about the current leaders and cultures of both countries; and studying money and resource allocation and responsibilities. The curriculum will engage students in creative problem solving with an eye toward developing teamwork, collaboration, science exploration, and leadership skills. The Chinese and U.S. staff will provide a portion of each day’s activities, and a portion will be designed collaboratively. 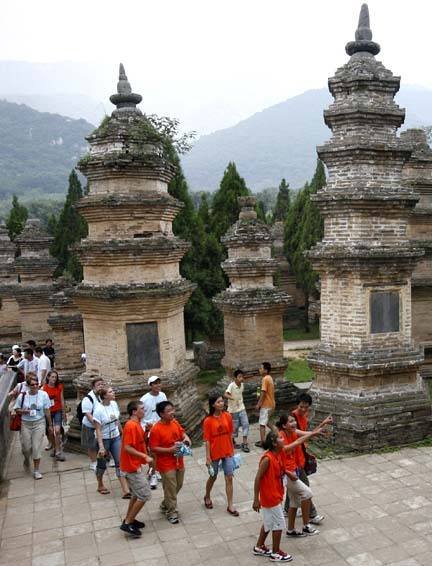 Teens from both countries will build on strengths and talents they already possess, while discovering new competencies through travel, interactions, and adventure. A documentary is proposed to capture the cultural and sociological differences between the students. Each student will be supported in developing their own documentary in order to return home with examples and insights gained through their experiences. They will be prepared to inform their families, schools, and communities about what they have learned and invite them to join in school and community partnerships for future exchange. Travel to Los Angeles begins July 10, with students returning to LA on July 30, for a cost of $3,500 per person, all inclusive. Challenge:TOMORROW is a partnership of Global Interactions, EdVisions Schools, The China International Conference Center for Science and Technology, Global SchoolNet Foundation, and Sias International University. For additional information, please contact Jerrie Ueberle, President, Global Interactions, Inc. at challenge@globalinteractions.org or 602.906.8886.